Kate Flannery joins the ladies to discuss kids, quitting jobs, moving in, QVC, accents, bloody marys and more! 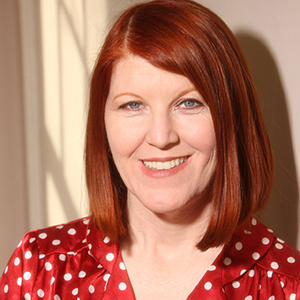 KATE FLANNERY is best known for her 9 seasons as Meredith the drunk on NBC’s THE OFFICE. She toured the country as Jane Lynch’s sidekick in her anti cabaret act, SEE JANE SING in over 30 cities including Joe’s Pub in NYC. Her original cult comedy lounge act, the Lampshades plays all over the country and Hollywood regularly. New York stage audience now her as Neely O’Hara in the Off B’Way hit VALLEY OF THE DOLLS at the Circle In The Square and in Nora Ephron’s LOVE LOSS AND WHAT I WORE. Kate was recently on Brooklyn Nine Nine on FOX, and in ComedyCentral’s ANOTHER PERIOD. Kate can be seen in two films on NETFLIX from the Tribeca Film Fest, TENURED and SLOW LEARNERS. Kate stars in the HBO short EMERGENCY CONTACT on HBO GO and indy films DIAL A PRAYER with Brittany Snow and William H. Macy, the Sundance hit, COOTIES with Elijah Wood and the newly released, award winning FOURTHMAN OUT available on iTunes and Netflix. www.thelampshades.com March 2016.